Roberts Limbrick were commissioned by NFU to design this high profile mixed use development in the centre of Cheltenham. NFU own the existing shopping parade fronting the High Street and premises known as ‘The Brewery’ which is located adjacent to, and to the rear of, the current shopping parade. 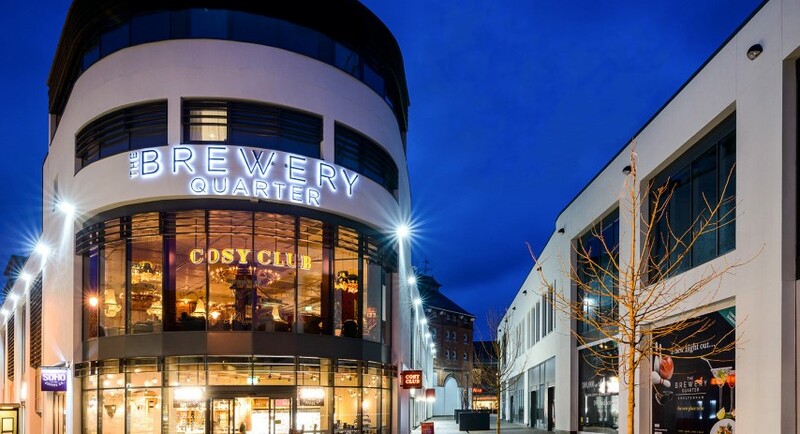 The Brewery is Cheltenham’s stylish, premier destination for eating out, visiting a cinema or health club facilities. 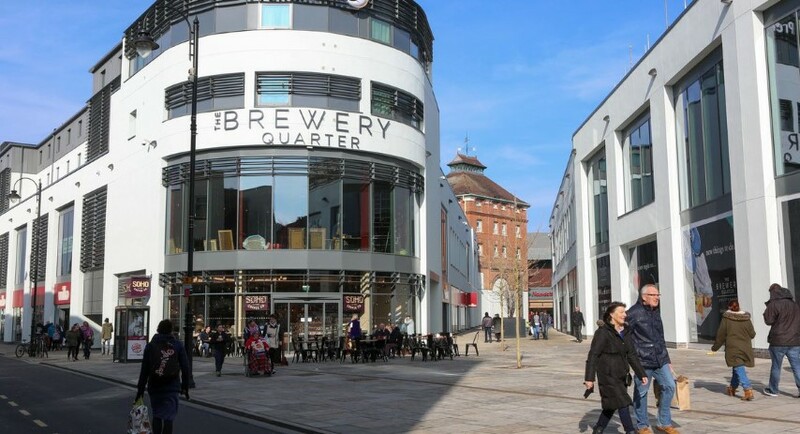 The new scheme extends the Brewery to the High Street by demolishing the existing, out of date shopping parade, and creating new two storey large retail units along the High Street. In addition a hotel and apartment block have been provided above the new retail development at the upper levels. The development has been built in two blocks divided by a pedestrian link. The link provides direct access from the High Street, to new shops and to the existing Brewery. The regeneration scheme provides a modern attractive complex and comprises 100,000sqft of retail space, a 104 bedroom hotel with a restaurant / bar with direct access to the High Street. The residential accommodation includes 34 two and three bedroom luxury apartments.